The proponent of the sacrifice, Aṅga, became very dejected when he heard this. With the permission of his priests, he began to ask them questions. He asked their permission because the proponent of the sacrifice (the person who seeks a result from the sacrifice) is not normally permitted to speak during the entire ceremony. “We invite the gods, but they do not come,” he said. “We offer to them, but they do not accept. Oh experts, please tell me frankly, What mistake have I made? This is pretty glorious. Usually a leader would blame other people when things go wrong. “What’s wrong with you? What are you hiding from me? You must be so stupid that you don’t even realize how stupid you are.” Aṅga was a king, but a philosopher-king. Therefore he behaved with humility. When things went wrong, he assumed it was his fault. This is ideal. Leaders should follow this model. There is no mercy in worldly deeds. Either you have enough money to buy something, or you don’t. Either you deserve something or you don’t. In material consciousness, no one awards anyone anything they do not pay for. Vedic sacrifices are a sophisticated, subtle way of doing something very simple: trying to fulfill basic material needs and desires. In such sacrifices, there is no mercy – there is only payment. If a sacrifice is done properly and the person deserves a reward, it is given by the cosmos and the cosmic controllers, otherwise not. 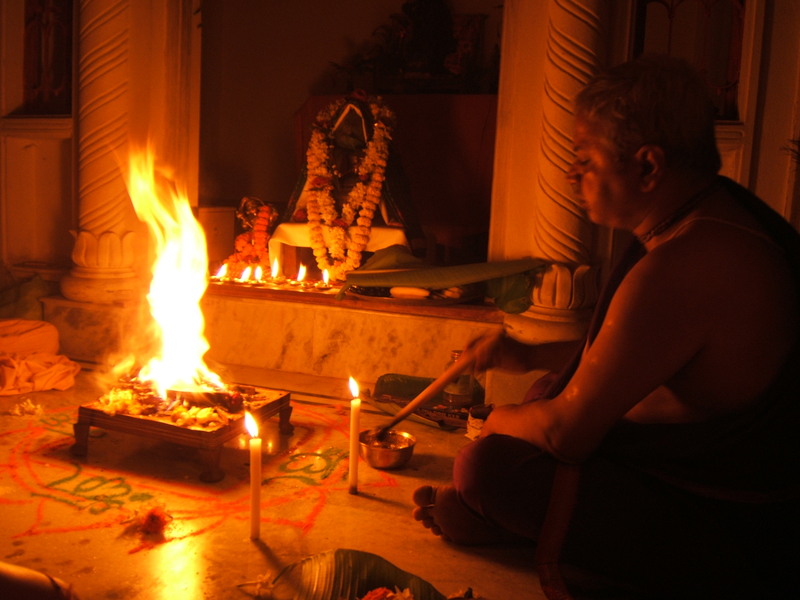 King Aṅga had a very slight disqualification from a previous birth, which prevented the sacrifice from being effective, disqualified him from being “accepted for the loan from the bank of the gods.” These days, definitely none of us would have any hope whatsoever of performing a Vedic sacrifice effectively. Such endeavors are useless. “Then, is it hopeless for me?” The king would ask. Vedic sacrifices are merciless, but Viṣṇu / Hari is merciful. The experts advised Aṅga to give up trying to achieve his goal on by the karmic-merchantile system of sacrifice, and to instead rely upon the mercy of Viṣṇu. However, it will be interesting to learn why such a bad son wound up as the result. Stay tuned for that.